Carillon Capital, LLC is a boutique strategic advisor and merchant bank with operations in Washington DC, New York, NY and Los Angeles, CA. We specialize in the following industries: financial services, real estate, and social media. Given the importance of technology in everyday business, Carillon has a significant focus on technology development and implementation primarily as it relates to the aforementioned industries. The Company was founded in late 2008 in the midst of the financial crisis. Over the last 7 years, we have gained a reputation for managing complex transactions and solving problems for a broad base of clients. Our clients range from start-up and early stage technology companies to some of the largest financial services, media, and private equity investors in the country. 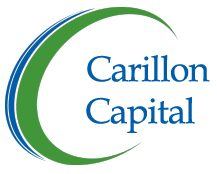 Carillon was recently acquired by the Holding Company, Buttonwood Capital Management. Carillon’s Managing Members and investors joined in partnership with Triton Pacific to manage the Holding Company. Carillon continues to offer the same services it did prior to the acquisition. Buttonwood Capital Management is acquiring interests in various lending originators across the continental U.S. and is in the process of building a distribution portal for the sale of assets through a lending platform.